Carlyle Sailing Association - Go Sailing! For this yearly spring event, meet the sailors of CSA, ask questions and, weather permitting, go out for a ride! CSA offers learning opportunities for students of all ages! 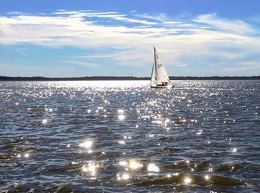 With a number of current or former instructors and experienced sailors in the association, we offer an excellent and affordable way to learn how to sail in the St. Louis metro area. Rentals are for half or full days (4 or 8 hours), 7 days a week. Friday through Sunday, no reservations are required, but they are encouraged. Monday through Thursday by appointment only. Note: A safety certificate is required to rent a boat. Click here for more information. Want to sail but don't own a boat? 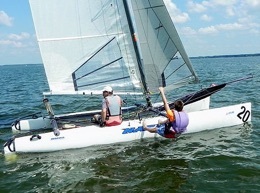 A number of boat owners at CSA are looking for crew for race days and day sailing. Fill out the form to connect with an owner or contact one from the list below.